Cynthia Hand’s Unearthly Trilogy holds a special place in my YA heart. The first book Unearthly was one of the first books I read when I started contributing to Wastepaper Prose (despite the fact that I didn’t review it), and I just adored it—the characters, the romance, the world of angels. I also loved the sequel Hallowed, though it broke my heart in so many ways. I expected to feel more bittersweet upon reading Boundless, the third and final chapter of Clara’s story. However, I’m far too pleased with everything to concentrate on the fact that one of my favorite series has come to an end. Boundless is just what a closer should be: it’s plotted and paced to perfection, it sufficiently answers all the Big Questions, and it keeps you hooked right through to the very last word. Boundless picks up not long after the events of Hallowed (and mere weeks after the not required but incredibly interesting e-book Radiant), with Clara and Angela back from Italy and preparing to set off to Stanford University. Oh yeah, and that Christian Prescott guy is coming along as well. Clara’s having visions of fear-filled darkness while being followed by a nosy crow and dreaming about the hottest cowboy ever (and her former flame) Tucker Avery, Angela’s burdened with glorious purpose (and possibly other things), and Christian… well, poor Christian’s wielding a sword of fire. That’s when the archangel Michael shows up, and things go straight to hell. Honestly, it will all make sense once you’ve read the book. One of the things that this series does so well is create and explore realistic relationships that are exciting to read about. 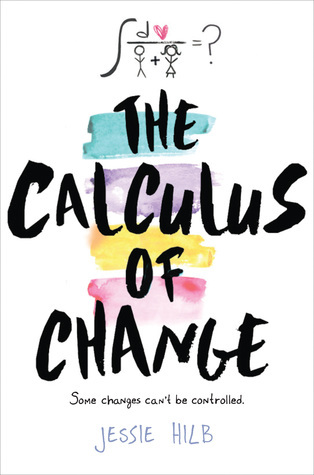 Angela and Clara don’t always agree—in fact, in this case, they are often at odds and trying to convince the other to see their side of things—but their true affection for one another is always evident. And speaking of relationships, this series also boasts one of the only love triangles I find to be compelling (see also Cassandra Clare and Tahereh Mafi). I’m definitely on a team here, but I can absolutely see why the other side is a viable option. To her credit, Hand keeps you guessing until the very, very end… and I may have skipped to the end to see how it all turned out before I started. It was a total accident, I swear. Either way, I think it’s a very satisfying ending. I haven’t read many other books about angels, but I’ve never wanted to branch out because I like this one so much. The world building is intricate yet organic. Even when you’re reading words like Quarterius or Triplare, when glory makes their hair glow or travel through space and time, it doesn’t feel like fiction. Clara’s angel world is tangible, and that’s one of the reasons I truly enjoy being there. I could read so much more of these angels. While I think Clara’s story might be done, I think there’s so much potential to stay in this world and explore different characters (ahemJEFFREYahem). 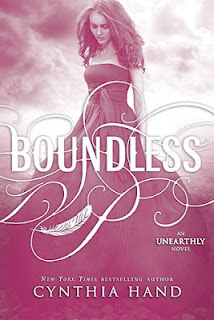 If you have read Unearthly and Hallowed, then Boundless is a must-read. If you’ve never read Unearthly, I suggest you pick it up immediately and get lost with the angels of Jackson Hole. I've really enjoyed my time in Clara's angel world and can't wait to see how Boundless ties everything up. I hear it's worthy of some tears. It is! Tears of sorrow, of terror, of joy, of love. All of the tears!